The problem with occasional phenomena is that they are seldom empirically verified. Try as we might, no one has managed to be in the exact place at the exact time on Loch Ness to capture definitive evidence that Nessie exists. Of course, it is very difficult to prove that something doesn’t exist. I have a creeping suspicion that not all of reality can be quantified. I’m very glad for the parts that can be, but a little mystery never hurt anyone. 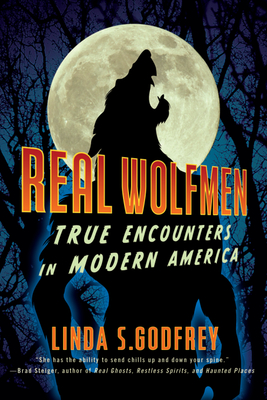 I’ve just finished reading Linda Godfrey’s Real Wolfmen: True Encounters in Modern America. There—I’ve already lost some of you! We all grow up to learn that there are no such things as werewolves and I’ve experienced many a peaceful night in that knowledge. Nevertheless, many people do report seeing upright wolf-like creatures, and many of the people interviewed by Godfrey appear to be entirely sincere. What makes this intriguing to me is that many of these episodes are reported in a circumscribed area (near which I used to live). While reports come from across the country, it is easier to dismiss one person who saw something odd once than it is to discount many people who see a similar thing over many years in the same general vicinity. That’s why I keep coming back to Godfrey’s books. Being an open-minded writer, Godfrey also considers possible spiritual explanations for what people see. Shamanistic traditions, in this case particularly Native American ones, do not dismiss transformations from human to animal. It is difficult for most of us to accept that a person could bend the laws of physics and biology—for which we suffered through so many tests in our education—to mutate or mix human DNA into or with lupine stock. Indeed, it takes the faith of the world of religion to believe that. And yet, people see beasts. We have been in the process of sealing the borders to our universe since the Enlightenment. The vaster our universe becomes the smaller the realm of possibilities grows. But we haven’t even explored all of our own little planet yet. The deep-sea trenches remain largely out of our reach, and the sheer volume of the oceans boggles the imagination. Even on land, we can’t watch every place all the time. The possibility of getting to somewhere truly remote is frequently an optimistic illusion. At times with my wife’s family I’ve ventured to places so far from civilization that freedom truly feels palpable. And as we hike down some neglected trail, talking to alert the grizzlies to our presence, nearly always we end up encountering others out here to escape from the likes of us. Yet a whole lot of the woods remain off-trail. It’s not a small world after all. And it’s October. Who’s to say there’s not the occasional werewolf out tonight? This entry was posted in Animals, Books, Monsters, Popular Culture, Posts and tagged Linda Godfrey, Loch Ness Monster, Real Wolfmen, shamanism, werewolf, Wisconsin by Steve Wiggins. Bookmark the permalink. I’m an anomaly. A Conservative Christian that likes to expand the borders of my universe. I happen to think almost anything is possible. I’d like to think shamans can transform themselves enough for people to see their animal spirits. I view the Bible as God’s transactions with the Jewish race and the early Christians, not the sum total of his repertoire. One of the things that I admire about you is that you’ve realized that the more you know, the more you realize there to know.